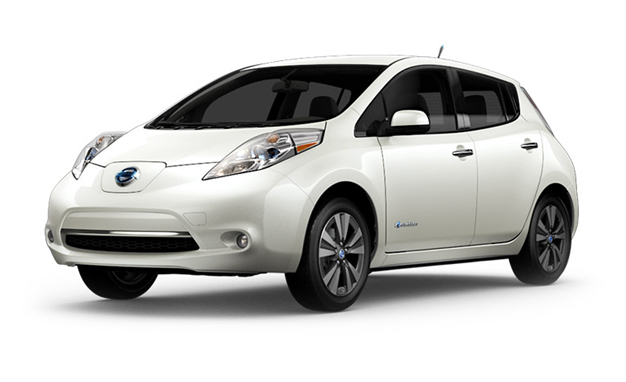 Crape Murder – Don’t Do It! This time of year winter pruning is being wrapped up on properties in the south and our beloved Crape Myrtles that many northerners can only dream about (they have Lilacs so we are even!) become embattled in controversy. What kind of controversy could possibly erupt from a beautiful tree like a Crape Myrtle one might ask? Well the key is in one word in the previous sentence: tree. Most folks have never had the privilege of knowing a mature Crape Myrtle that has been pruned to nurture it into a larger plant that God designed it to be. We occasionally ask the following question to prepare doubting gardeners or property managers for enlightenment into the world of properly pruned Crape Myrtles: “Would you saw a Dogwood or Japanese Maple tree off every year down to a 4 or 5 foot stump?” “Why heavens no! “ exclaims a shocked listener as they envision a crew cut improperly done on a sweet girl’s locks or a shaggy dog with its coat sheared down to the skin. The key is in choosing the right sized plant for the space it is being used in. If it is getting too big every year the good news is that Crape Myrtles transplant with more success than many other plants including native ones. After decades of hybridization there are Crape Myrtles in the market that grow 3 feet mature height and some that grow 40 feet mature height. For the sake of this discussion we are focusing on the tree sized Crapes that are 8-40 feet tall at maturity. It is suggested that you prune your Crape Myrtles during their formative young years just as you would train up a child. Crape Myrtles are thickly branched plants that risk catching diseases if you don’t thin them and leave a few dominant main trunks. 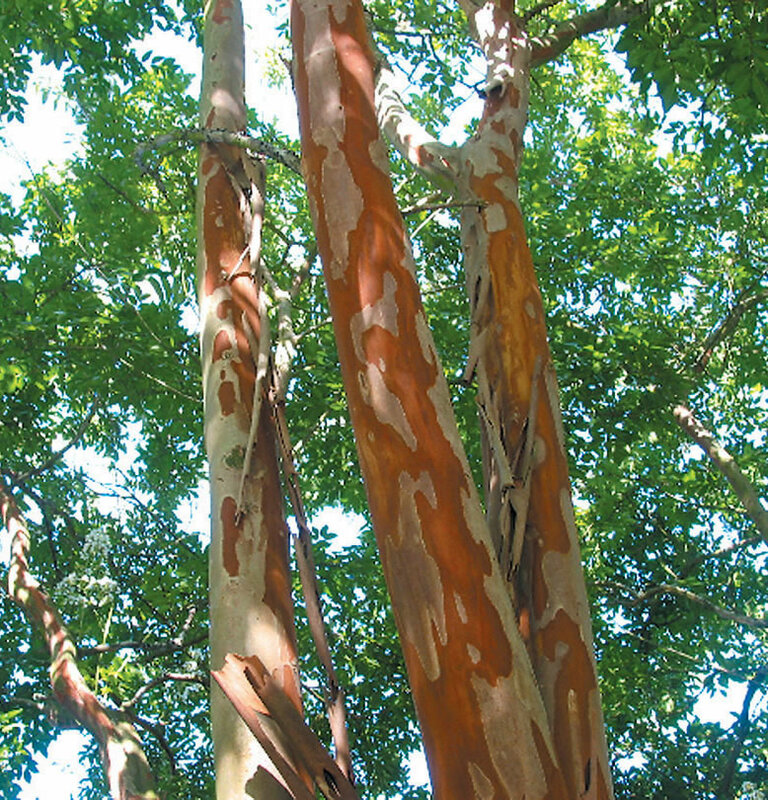 Gorgeous bark is a key feature of most Crape myrtles and if you leave them to grow into a monstrous bush you will never see the key feature that is so nice in the winter when all leaves are gone and color is scarce in the landscape. As Crape Myrtles mature and you have trained one or a few leaders in the plant you can almost leave the plant to itself as it reaches its mature height. By leaving the top alone as it matures you will have much more color than others who chop them off every year because “the neighbor did it so it must need to be done”. Cut new small sucker shoots at the base of the plant, prune inward growing smaller branches and limb up the head of the tree and you will have a show stopper of a plant when it gets a little older. For some good examples of mature Crape Myrtles that have been pruned into trees visit the Atlanta Botanical Gardens to see the bark, form and blooms of this misunderstood giant in our southern gardens. 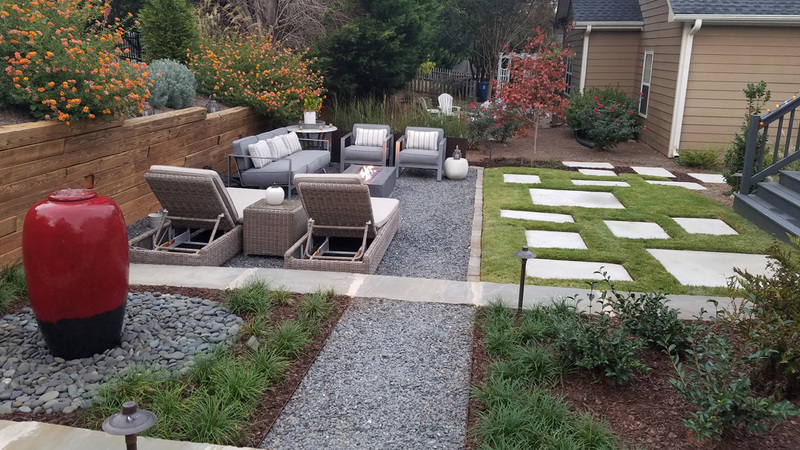 You will be inspired to treat these plants as the trees they were designed to be and maybe even save yourself from overworking to have an excellent landscape when you really didn’t need to. 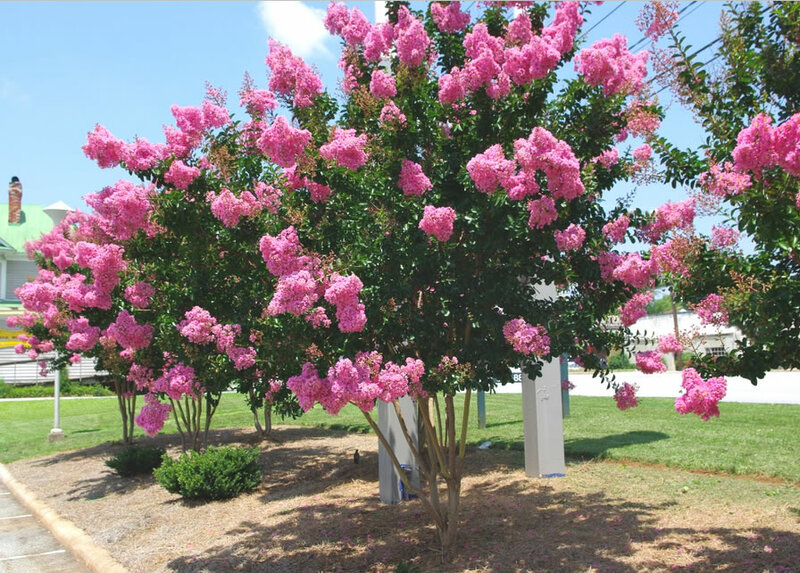 If you have Crape Myrtles that need attention, the professionals at Classic Landscapes are standing by to help. Contact us today to take the next step to get the most out of your landscape.